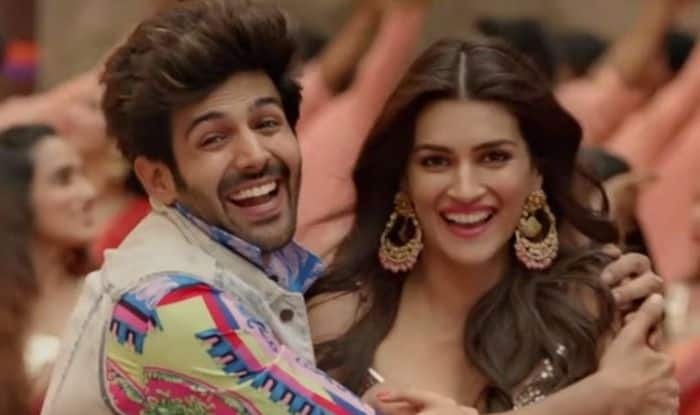 The first song of Kartik Aaryan and Kriti Sanon starrer Luka Chuppi titled Poster Lagwa Do released recently and it has garnered love on social media. The track has clocked over 10 million views on YouTube. It is the revamped version of Akshay Kumar and Urmila Matondkar’s song from Aflatoon. Mika Singh and Sunanda Sharma have crooned it. The peppy music has made place in everybody’s hearts. The song features Kartik and Kriti’s sizzling chemistry. Both the stars have shared the screen space for the first time. In the film, Kartik will be seen playing the role of a TV reporter. However, details about Kriti’s role are yet to be known. Luka Chuppi is all set to hit the screens on March 1 and will fight the box office battle with Sushant Singh Rajput and Bhumi Pednekar’s Sonchiraiya. On a related note, the actor was last seen in Sonu Ke Titu Ki Sweety. The movie entered the coveted Rs 100 crore club and made the actor a household name. On the other hand, Kriti is also occupied with the work of Panipat. It also features Arjun Kapoor and Sanjay Dutt in crucial roles.